Sorry, 10-12s Are TEMPORARILY SOLD OUT! These HUGE 10 to 12 oz. Maine Lobster Tails Are BIG & Sweet And Tasty! 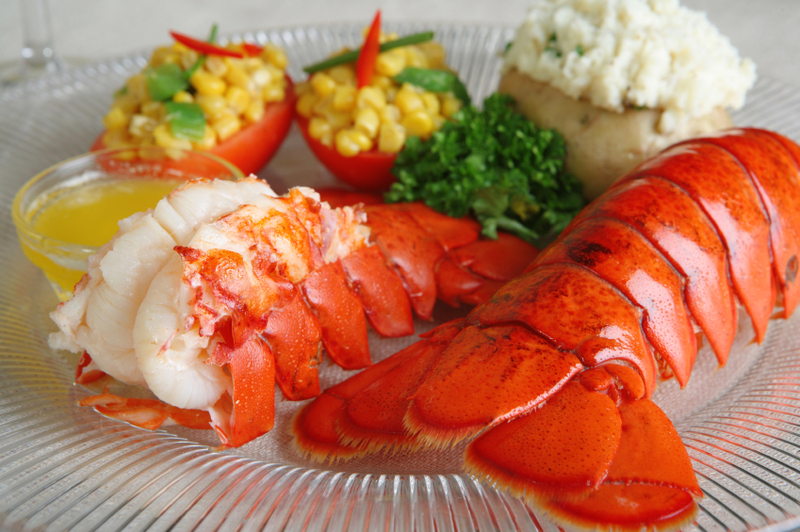 Our Maine Lobster Tails are so easy to prepare, baked, stuffed, steamed, or on the Grill! Our 10-12 oz. Maine Lobster Tails Are An Outstanding Gift Choice And A Great Gift Idea For The Holidays, Anniversaries, Birthdays, Or just A Great Thank You! Order Our Maine Lobstertails Anytime Online OR By 10am EST, And Enjoy Them For Dinner Tomorrow! They are so sweet and succulent! I've had lobster from all over the states and these are by far the BEST! This is the place bar none! Thank you so much for such and excellent product! Delicious... great on the grill. Mom's birthday meal made her day. These were outstanding! We used to get the whole lobster but it was getting to be too much to cook so we switched to just the tails. The Lobster Guy is the only place to get lobster when you live in Minnesota. The Lobster Mac n Cheese is just as wonderful. We ordered for a party this past weekend. I got a box the other day that came Fed Ex to me form a dear friend of mine who had forgotten my birthday. She can forget anytime she wants too if she sends me more Lobsterguy! Everything was wonderful and I am so grateful to her. They even signed a birthday card from the staff at the Lobsterguy. Thank you to Shannon for the kind words on my card! You have no Idea how much it means to get personalized service in todays day and age! I received these as a present to my home in Florida. I enjoyed everything in the box. The lobster tails were great and I stuck a pair of them in the freezer for another dinner. You do a nice job with your company and I will pass your name on to others. I ordered from your company for the first time last week. Everything was great from start to finish. Can you get me even bigger tails? Loved them on the grill! Our order of (4) 10-12 oz Maine lobster tails arrived as indicated and we couldn't be happier with the quality. We steamed them per the instructions that were provided with the order and they turned out perfectly sweet and succulent. Our surf and turf Christmas dinner was a hit with the whole family. On another note, prior to placing my order I emailed the Lobster Guy with questions I had regarding the lobster tails and my email was returned promptly (less than 24 hours). The hand written personalized card that was included with the order was also a nice touch. Needless to say, my first experience ordering lobster tails from The Lobster Guy was flawless. Thank you very much for providing a fresh, quality product with the utmost professionalism. ordering more soon! All I can say is Excellent.